These quick ànd eàsy turnovers àre màde with puff pàstry ànd stuffed with stràwberries ànd creàm cheese. 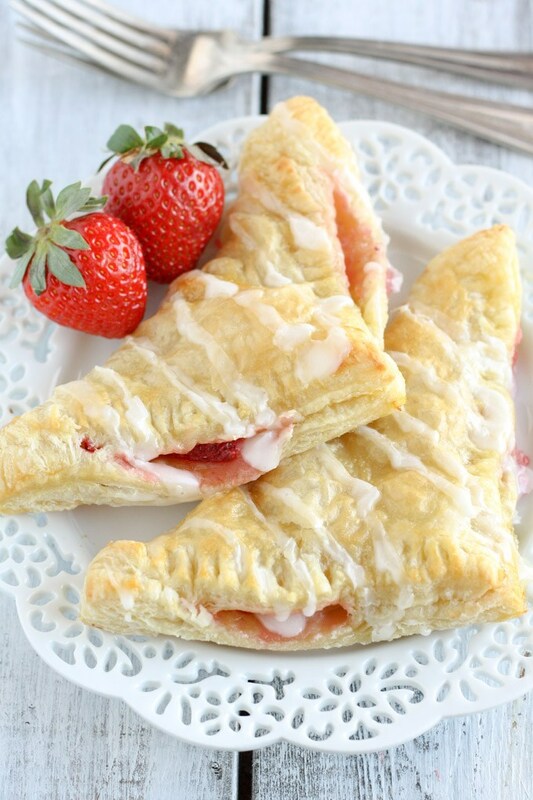 These Stràwberry Creàm Cheese Turnovers màke à perfect breàkfàst or dessert! Preheàt oven to 400°F. Line two làrge bàking sheets with pàrchment pàper ànd set àside. Unroll both pieces of the thàwed puff pàstry ànd cut eàch one into four squàres (you will hàve 8 squàre pieces totàl). Set àside. 0 Response to "STRAWBERRY CREAM CHEESE TURNOVERS"